Amanda Jobbins, VP of partner marketing at Cisco Systems, is focusing on five core priorities to help channel partners more closely engage their end-customers. Jobbins described her strategy during a chat with The VAR Guy earlier today. First, a little background. Jobbins succeeded Luanne Tierney (now at Juniper) in July. Jobbins, a veteran of Cisco Europe, brings 22 years of marketing and technology experience to the post. As VP of partner marketing, Jobbins is part of an executive team that’s trying to jump-start Cisco’s growth. The company cut 6,500 employees in August and exited certain consumer markets in order to re-focus on its core networking, collaboration and communications markets. By September, CEO John Chambers and other executive leaders were telling the world that the “next” Cisco — a hungry and far more nimble Cisco — was emerging. As part of that effort, Jobbins is working to build closer links between Cisco and its channel partners. 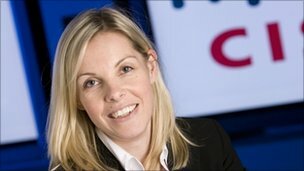 Her vision: “Make Cisco the world’s preferred partner marketing experience.” Jobbins is therefore focused on five core priorities. 1. Brand and Value: The goal is to simplify Cisco’s value proposition to partners, and then help partners to articulate that value proposition to end-customers. That effort will include specialized marketing campaigns, each of which could last a quarter or more. Potential campaigns will focus on (A) cloud computing (B) the data deluge and (C) the proliferation of devices. Cisco will offer partners co-marketing dollars to ensure VARs align their marketing messages with Cisco’s campaigns. However, it’s unclear whether Cisco will align the marketing programs with Cisco’s VIP (Value Incentive Program), which rewards partners for selling certain product categories. Cisco will also take steps to help end-customers find partners that have earned master specializations. 2. Online and Social Communities: Cisco is auditing its social media efforts right now and exploring partners’ preferred avenues for communications. 3. Marketing Enablement: Watch for new efforts in the areas of development, coverage and demand generation. 5. Ecosystem: Here, Jobbins mentioned the growing complexity in the channel as VARs, MSPs and cloud services providers all emerge with different sales and delivery models. Cisco’s goal is to “leave gaps in the market for partners to plug in their services.” Jobbins also sees an opportunity to have Cisco certified marketing professions “drop in to partner businesses” to assist with marketing efforts. Elsewhere within the ecosystem, Jobbins mentioned ISV (independent software vendor) relations multiple times, hinting that Cisco Systems is striving to work more closely with SAP, Microsoft and others. “Wendy Bahr and I are very strong proponents in terms of knowing we need to do more with ISVs.” Jobbins predicted that application-centric promotions, leveraging Cisco’s Unified Computing System, will likely emerge. Jobbins brings a global perspective to her position, having worked extensively in Europe before making the move to Cisco’s headquarters in San Jose, Calif., earlier this year. It’s hard to poke holes in Jobbins’ resume — she’s got a track record filled with success. But Cisco also faces some tall challenges. Competition with Hewlett-Packard and Juniper, in particular, remains intense. The next reality check will come November 9, when Cisco is scheduled to announce Q1 2012 results.